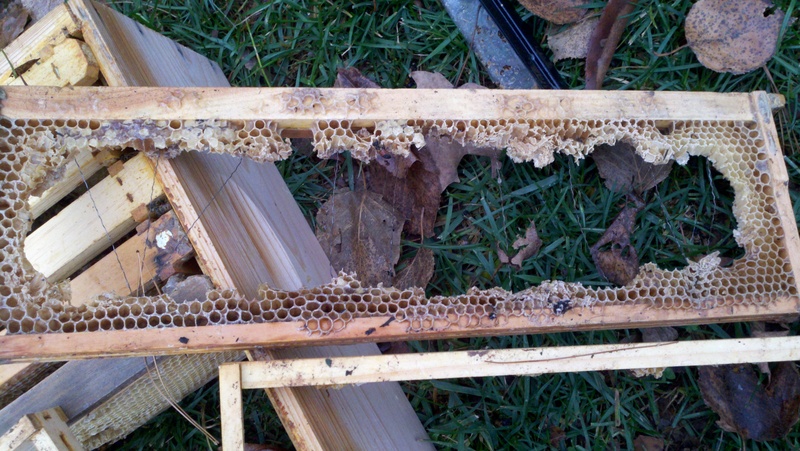 Last November our backyard beehive was raided and torn apart by a few hungry bears. 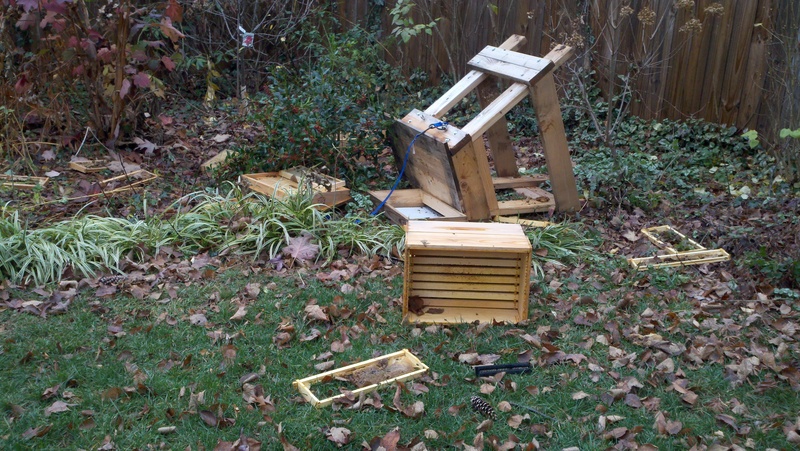 It’s been sad looking out at the corner of the yard where the hive had been. 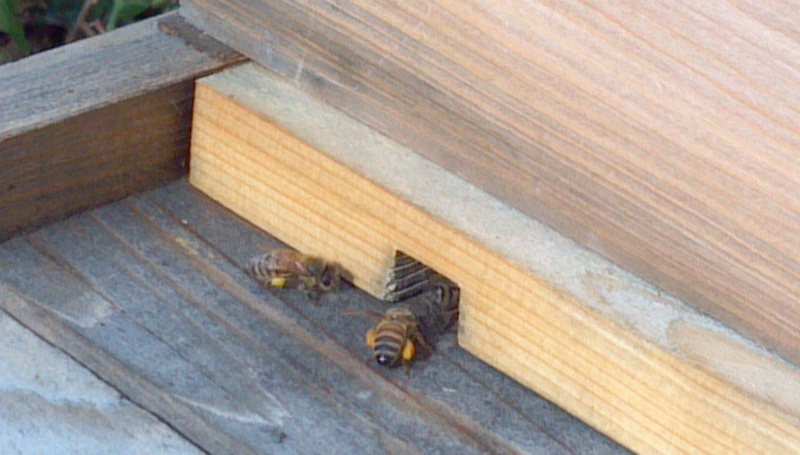 I’ve missed those bees and their constant stream of activity that I used to watch from my kitchen window and deck. 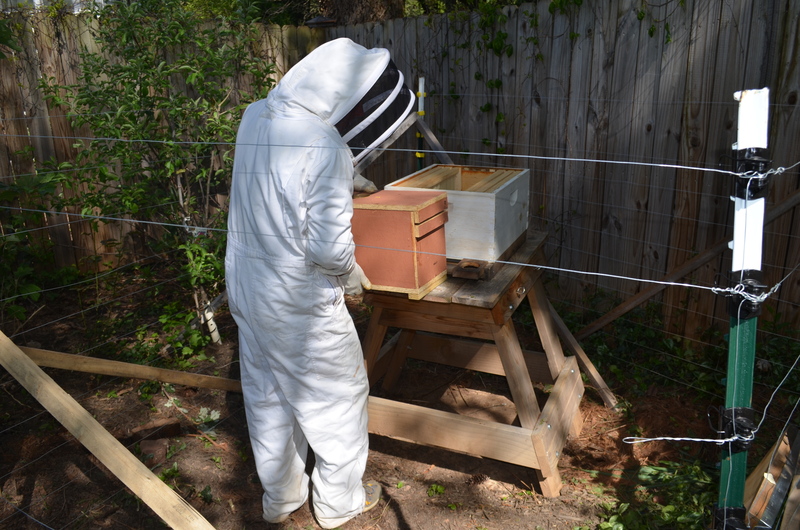 This morning I headed north to Madison County to Wild Mountain Bees to pick up my new hive. 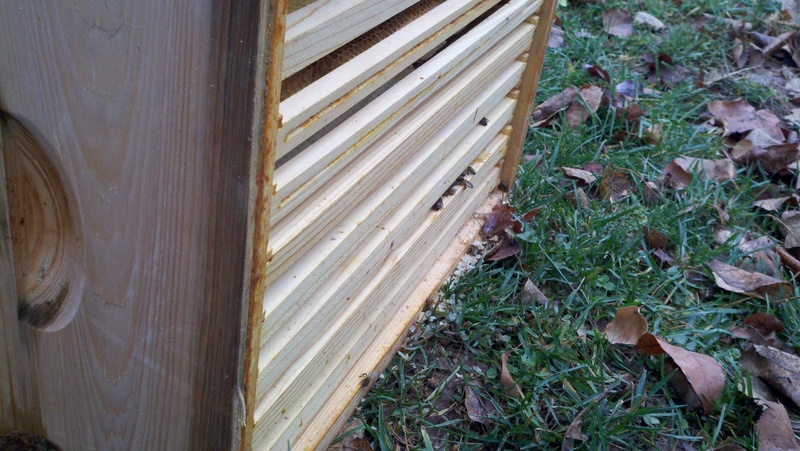 In beekeeper lingo, what I got is called a “nuc” — a small, basic hive (including a queen) that you transfer into a larger bee box where they will produce brood and expand their population. 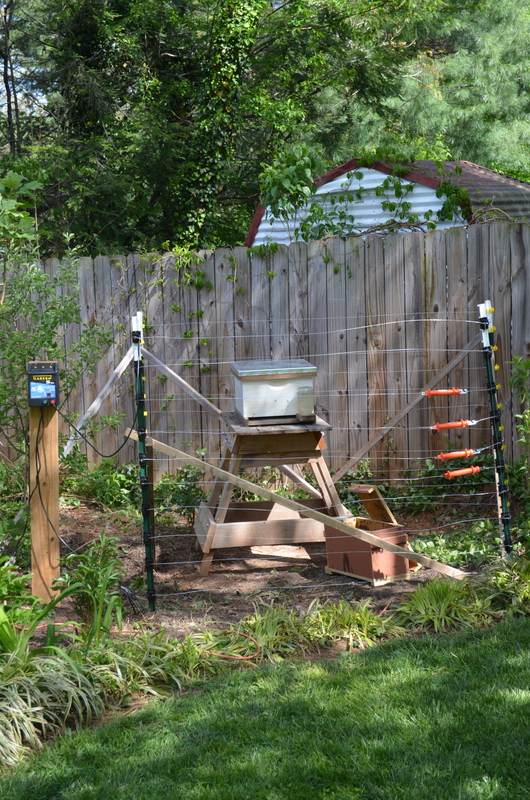 In preparation for the arrival of our new bees, I enlisted my brother’s help in getting an electric fence built around the hive site to keep hungry bears out. 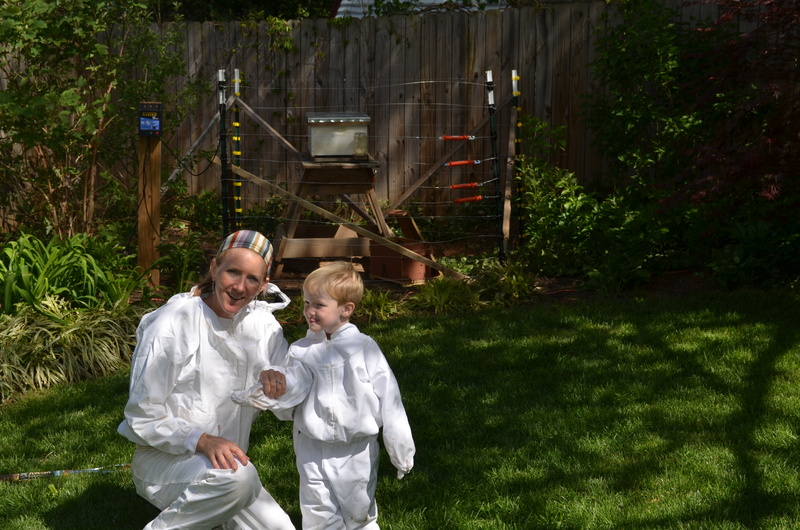 Many of Asheville’s urban beekeepers lost hives last fall to bear raids, and the only solution I’ve heard of is electric fencing. 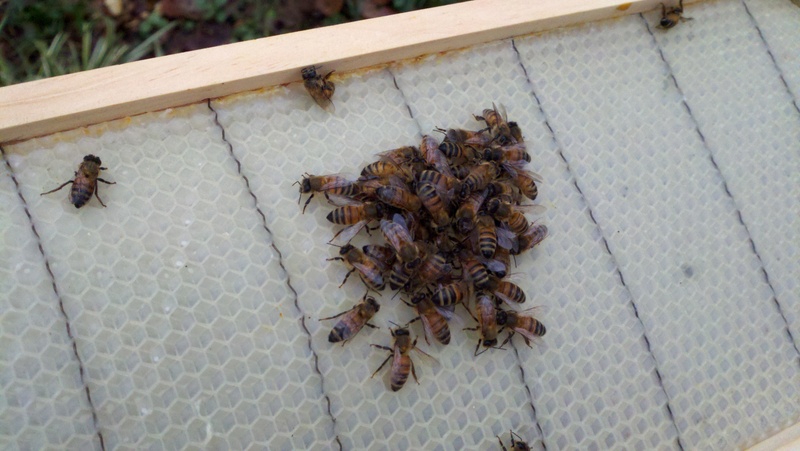 In an effort to keep things simple, we decided to use the more common size bee box to transfer them into (with 10 longer frames instead of 8 shorter as I’d had previously). 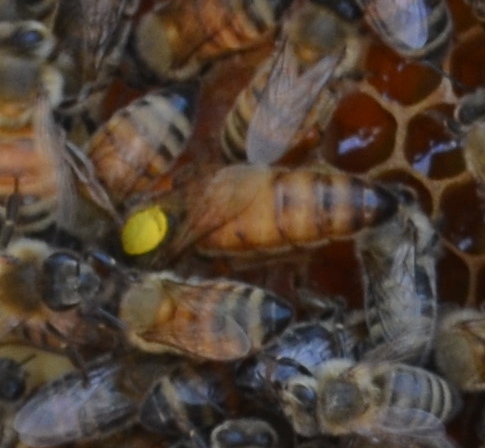 She’d been “marked” with a yellow dot on her back to make it easy to identify her when inspecting the hive. 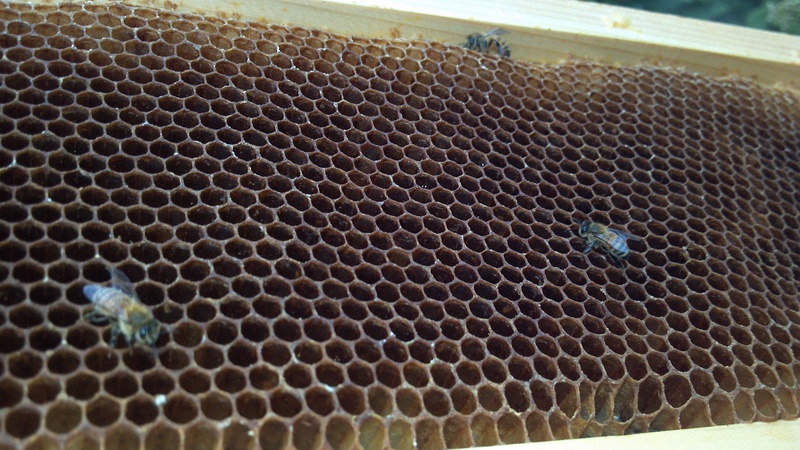 I was able to find the queen in my old hive even though she wasn’t marked — the queen has a longer abdomen than all the other bees in the hive. 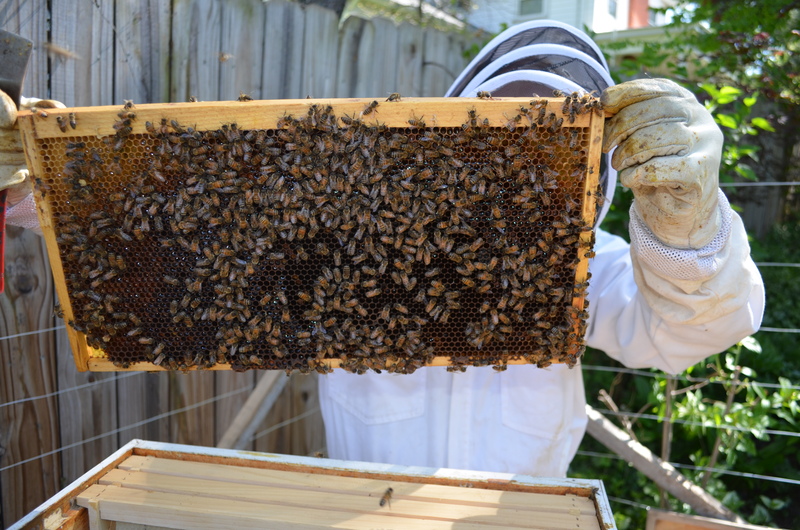 After we’d gotten the racks of bees transferred, we sat in the yard and were mesmerized watching them flying around the hive and getting their bearings. 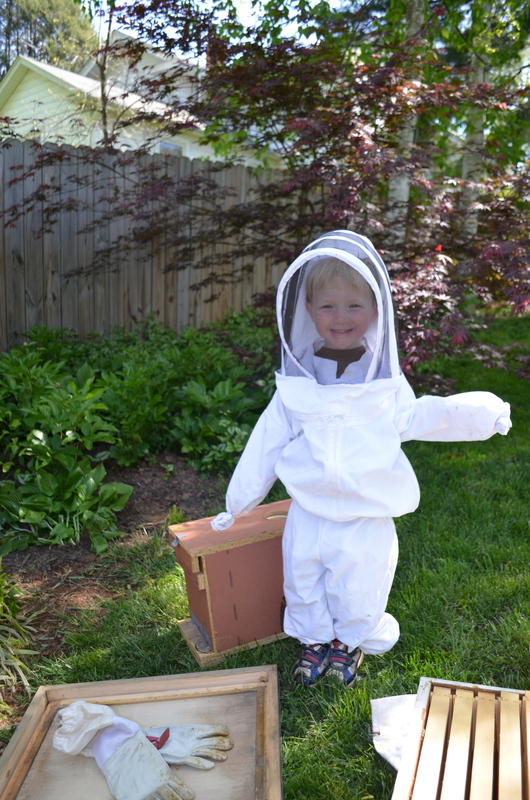 It’s been fairly warm the past few weeks so the bees have been out and about, gathering the end of the season’s pollen. 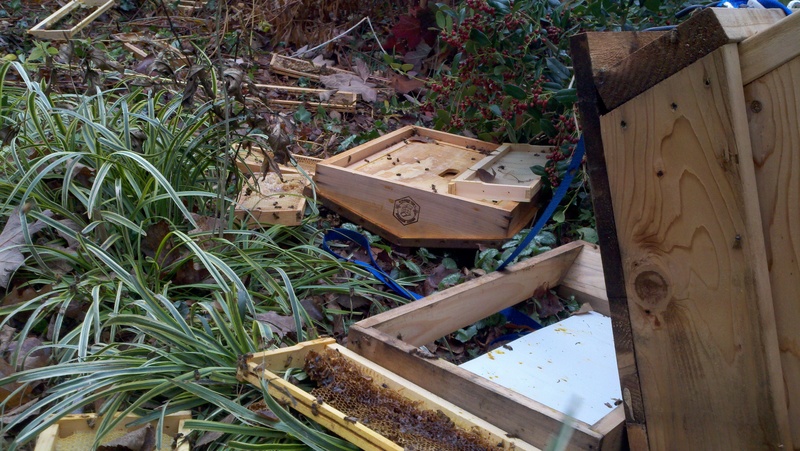 The bear chose a bad night to feast — not for the bear, but for the bees. 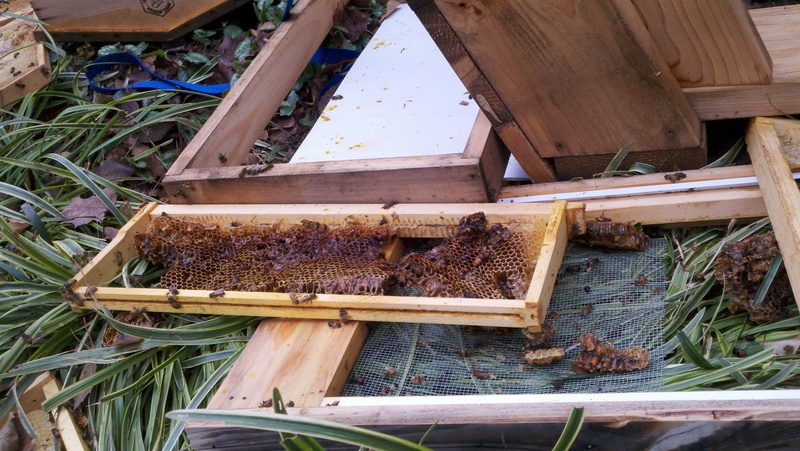 It was pouring rain and 45 degrees overnight, so they had no shelter and I found hundreds of dead, wet bees all over the ground near the hive. There were a few signs of life, though. 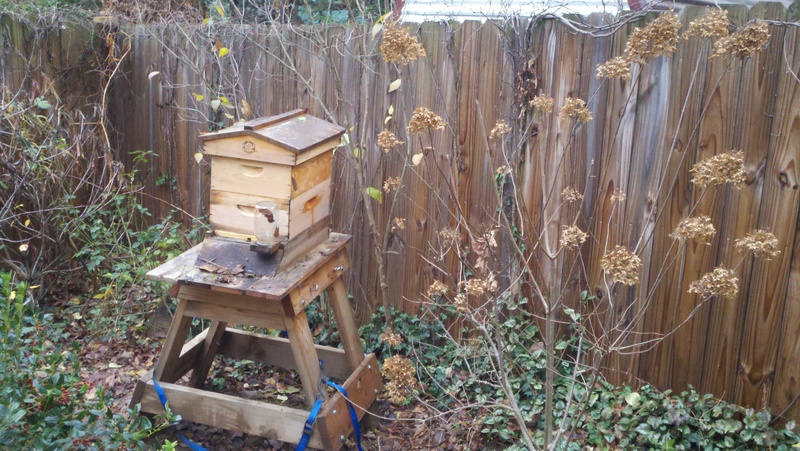 I saw a few small clusters of bees trying to keep warm. 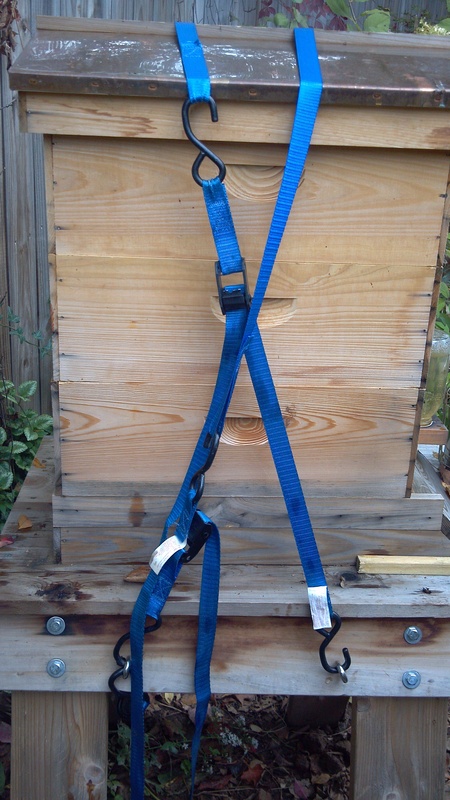 I also got stung on my back where my bee suit gaps between the top and pants. They were definitely in protection mode and were agitated when I was trying to piece the remaining box and racks together that remained. They are weak and slow from the cold and it made me sad to see them so disoriented and strewn everywhere. I’m doubtful the queen survived. I started to look for her but figured it would be best to leave them alone and get them set back up as soon as possible because it was cold. 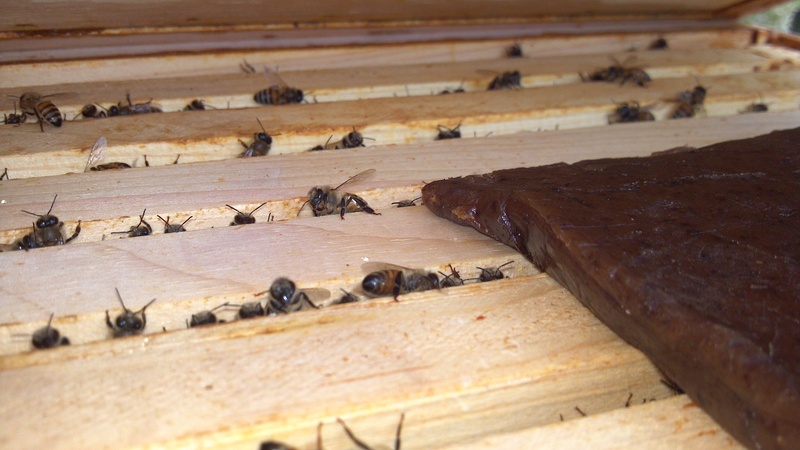 If she’s gone, along with the thousands of other bees that didn’t make it, plus most of the brood and honey, I’m thinking there’s no way the remaining bees will make it through the winter. But I went ahead and set the base back up, put the intact box on top of that, and salvaged what racks I could that the bear didn’t totally finish off. 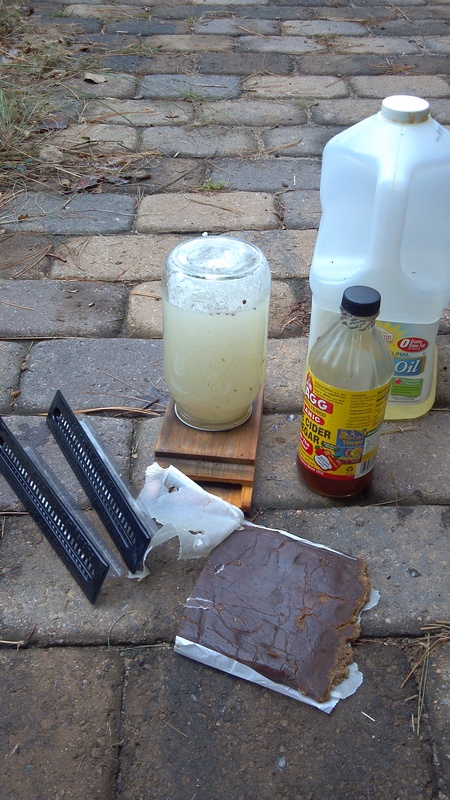 I was able to put those racks into another box along with random pieces of comb that were strewn across the backyard. 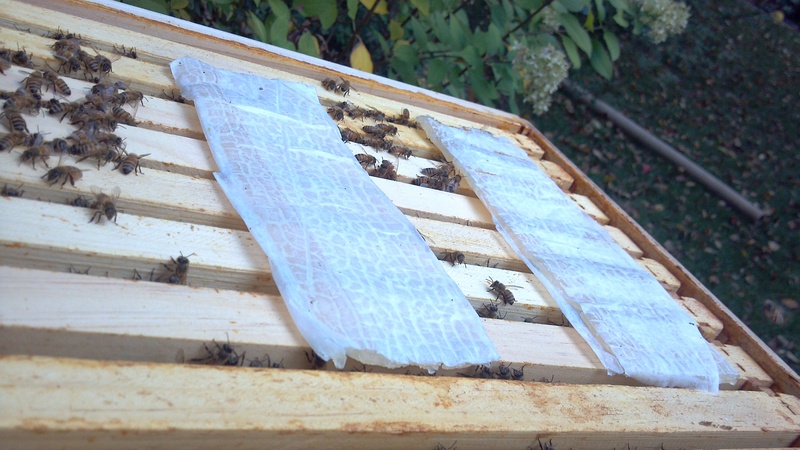 I scooped up a few handfuls of bees sheltered under some leaves and shook them off into the top box. 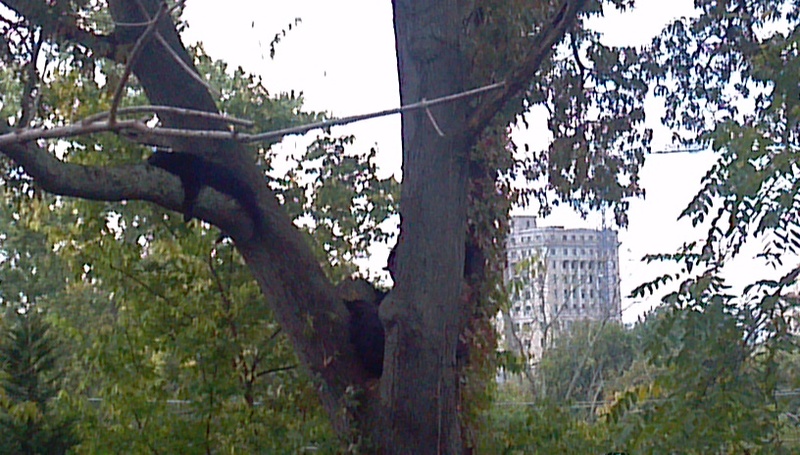 It amazes me that we live a mile from downtown and have black bears roaming through our backyards. I suppose I shouldn’t be too surprised, though. Their habitat is dwindling as developments have spread out and up the mountains. 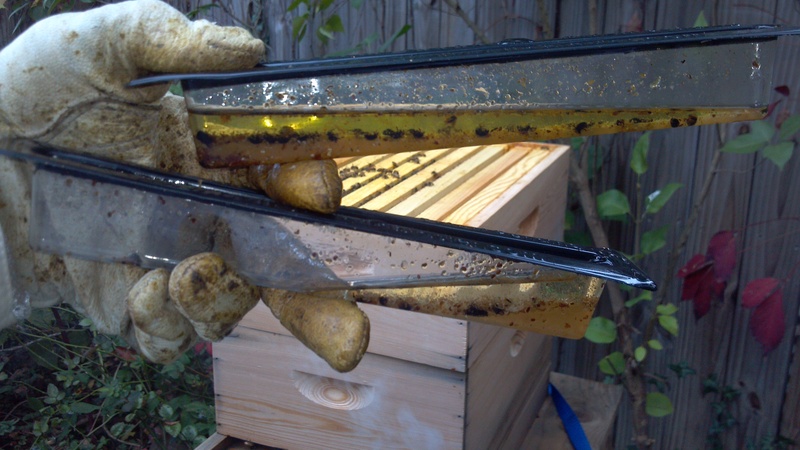 And of course, bears do love honey, so an urban hive is fair game to a wandering, hungry bear. A six-foot fence and heavy-duty tie-downs are no match for a bear. I think it’s time for electric fence around it.